It seems that Little Wanderings has just turned one! 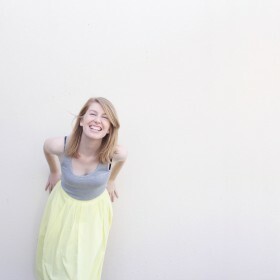 After recently reading Cyra of Gastronomic Nomad‘s lovely post, 12 Things I’ve Learnt Thanks to 12 Months Blogging, I realised that my own blog birthday must soon be rolling around. Lo and behold, it had just passed the day before! So, whilst I did miss the actual day last week, I thought there was definitely still reason to celebrate. With cake. Obviously. 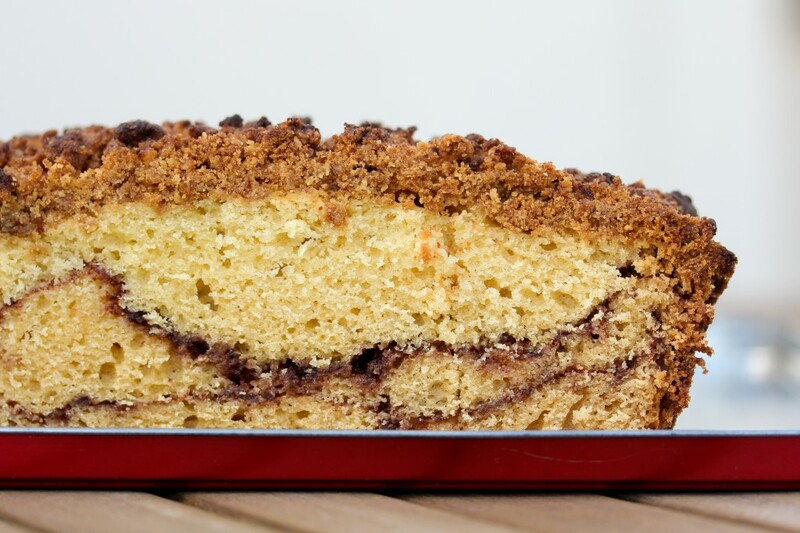 This Sour Cream Coffee Cake with Chocolate Cinnamon Swirl comes from Baked: New Frontiers in Baking (also known as the cookbook that beheld unto me the greatest brownie of all time). 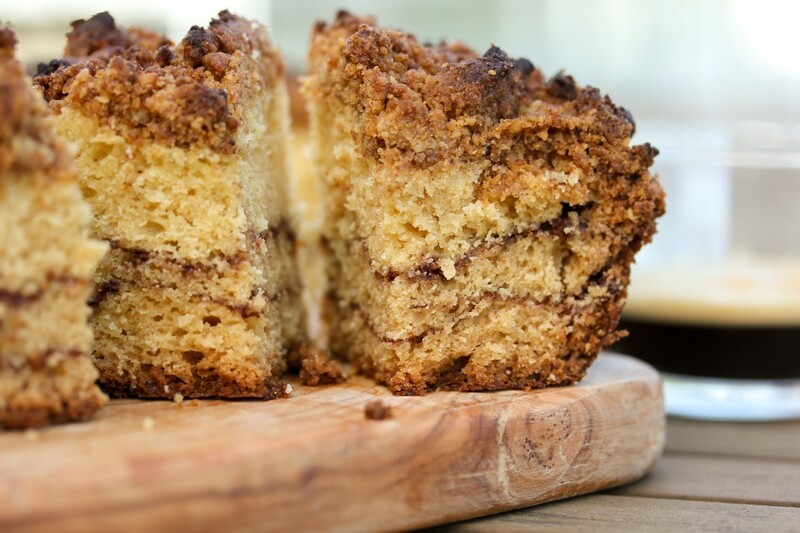 Note: it’s a coffee cake in the sense that it’s best served with a hot cuppa, rather than a cake that’s made with coffee. It is unbelievably good, and only adds to my desperate need to one day (like, soon) make pilgrimage to the Baked bakery in New York. From the moment I whipped up the crumb topping, I knew this was going to be something else. Seriously, that pecan and dark brown sugar combo is sensational. 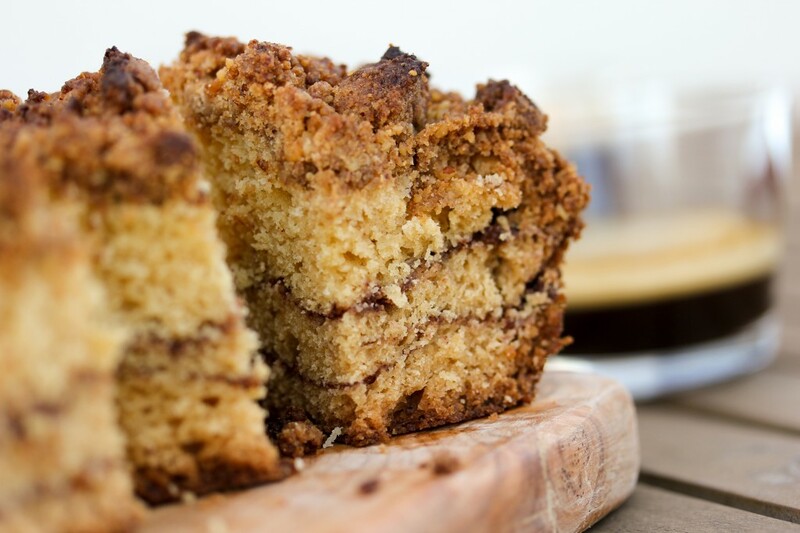 The sour cream gives a lovely balance to the cake, and makes for a beautifully light and moist crumb. And you can obviously never go wrong with a chocolate cinnamon swirl. 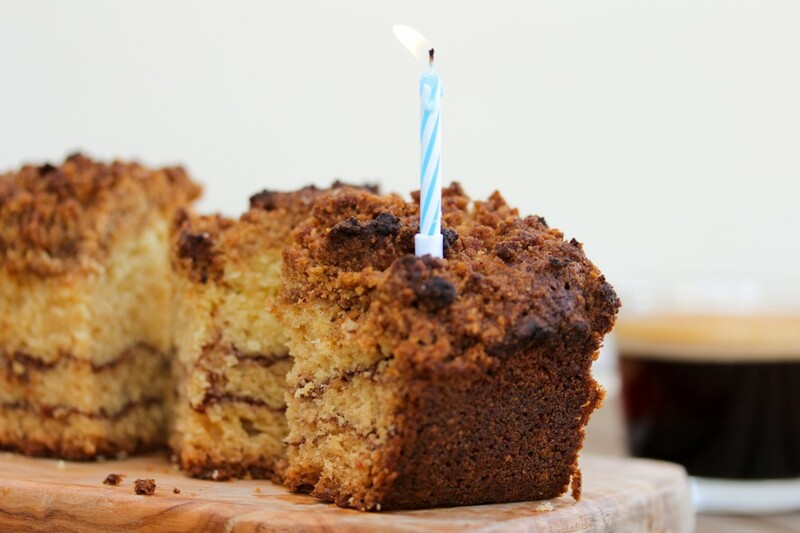 This recipe makes a nine-by-thirteen inch cake, which is admittedly quite a large cake. I like to look at this with the perspective that I can give away a lot of cake to friends and family (and through the awesome power of this cake’s deliciousness, earn their undying devotion), whilst also eating an incredible amount of cake myself. Win-win situation, folks. I’m very proud to have reared this little blog a whole twelve months; it seems like it was only yesterday that Mat and I spent a whole afternoon just brainstorming ideas for the title! I do feel that, after a year of writing here, Little Wanderings is finally starting to take shape. I’m still not quite sure what that shape is, but I’m very excited to keep writing and find out. 1. Pulse the flour, sugar and salt together in a food processor for a few seconds to mix. 2. Add pecans and pulse again until finely chopped and well incorporated. 3. Add butter and pulse until combined. The crumb should look like coarse sand. Don't worry if it's a bit clumpy, so long as all the ingredients are well combined. 4. Cover with cling wrap and set aside in the fridge! 1. Whisk together sugar, cocoa powder and cinnamon in a small bowl. Set aside. 1. Preheat the oven to 180°C. Butter and line a 9x13-inch baking pan. I used glass; the Baked boys note that a metal pan will give a crispier edge to the cake. Either way is good! 2. Sift the flour, baking powder, baking soda and salt into a bowl and set aside. 3. Using a stand mixer fitted with paddle attachment, cream the butter until nice and smooth. Scrape down the sides of the bowl (in fact, make sure you do this between each step!). 4. Add the sugar, and beat until the mixture becomes smooth and fluffy. 5. Add the eggs one at a time. Make sure each egg is well incorporated before the next addition. 6. Continue to mix for another 30 seconds. 7. Add the sour cream and vanilla extract and beat until just incorporated. 8. Add the dry ingredients a third at a time, beating until just incorporated between each addition. Don't over-mix at this point! 9. Pour one third of the cake batter into your prepared pan. I got quite nervous at this point; I was afraid of over-measuring my first and second layers and not having enough for the top. Despite the fact that I got it right, next time I'd probably go full OCD and weigh my mixture so I know exactly how much to pour out at a time! 10. Use an offset spatula to spread the cake batter evenly across the bottom of the pan. I didn't have an offset spatula, but found that a butter knife did a pretty great job. 11. Sprinkle half the chocolate cinnamon swirl mixture over the batter. I poured my swirl mixture into two cups to ensure an even split. Cover the batter completely! 12. Pour the second third of cake batter over the swirl mixture. Try and pour a few blobs across the whole of the pan, rather than all in the middle. Spreading this layer can be a bit tricky, as the swirl layer will stick to the batter when you lift your spatula/knife. Try and push right out to the edge of the pan with each spreading motion to avoid mixing up too much of the swirl layer with your batter layer. 13. Sprinkle on the remaining swirl mixture, and then top with the remaining cake batter. 14. Sprinkle the crumb topping evenly over the top. 15. Bake in the centre of your oven for 1 hour (or until a skewer inserted into the middle of the cake comes out clean), rotating the pan every 15 minutes. Allow to cool in pan on a wire rack for 30 mins. Enjoy!